J Carpenter Environmental, LLC sells Cabot-Norit America, Inc. activated carbon products. JCE clients use powdered activated carbon for removal of dioxins and furans, which are formed during the cooling of the flue gases. Powdered Activated Carbon is also effective in capturing mecury in flue gases. Cabot-Norit is a world leader in activated carbon technology, with more than 150 types of activated carbons applied in purification processes in more than 70 countries. It has 85 years of continuous production and with plants located in 6 countries. Cabot-Norit Americas pioneered the use of powdered activated carbon (PAC) technology in the North American market for mercury and dioxin emission control. 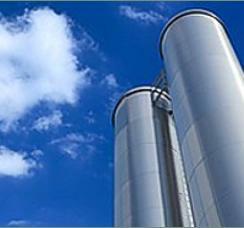 Cabot-Norit PAC injection systems use computer controlled feeders, storage silos and injection equipment. There are standardized units for trials and rentals. Custom units designed specifically for an an individual plant are also available. Cabot-Norit also has mobile filter vessels for a wide range of absorption applications which include air / gas purification and water treatment. Contact JCE for more information. CONFIDENTIALITY NOTICE: This webpage, including any attachments, is solely the property of Carpenter Brothers Inc. Any review, dissemination, distribution, copying, printing, or other use of this by persons or entities without the express permission of Carpenter Brothers Inc is strictly prohibited.